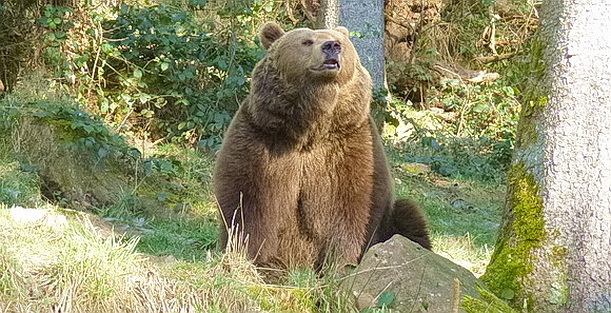 Excursion tips in the surrounding area of campsite Müllerwiese, Black Forest. 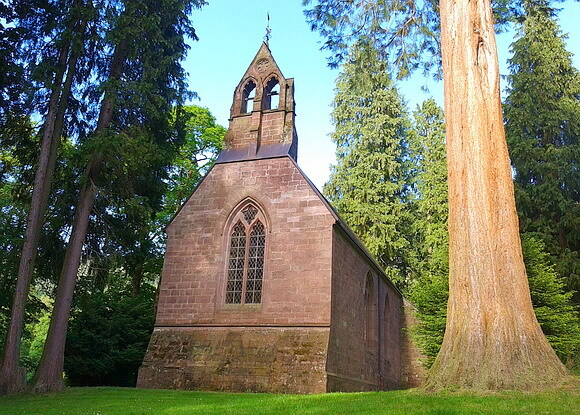 Because of its central location within the northern Black Forest, Enzklösterle represents an ideal starting point for wonderful excursions to the surroundings. Have a look at the destinations you can easily reach on foot or by car. Using your guest card you can drive with the public service buses free of charge. Neighbouring to the mountain slide, the idyllic lake Poppelsee is situated. 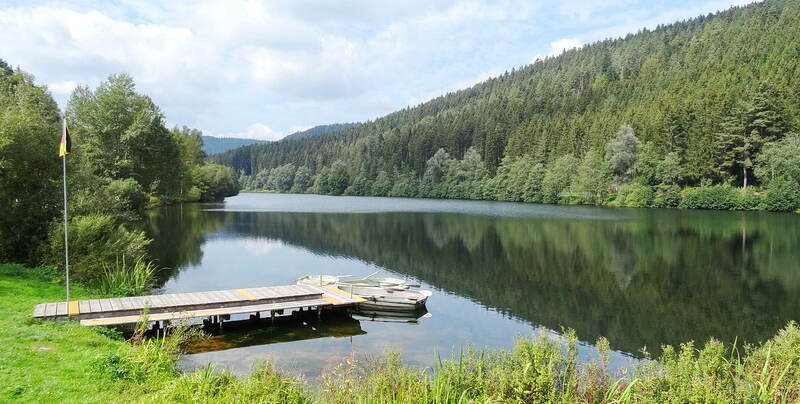 Like the Kaltenbachsee nearby Enzklösterle-Gompelscheuer it has been installed by the Black Forest raftsmen in bygone times. Nowadays, both romantic lakes represent ideal destinations for hikers. 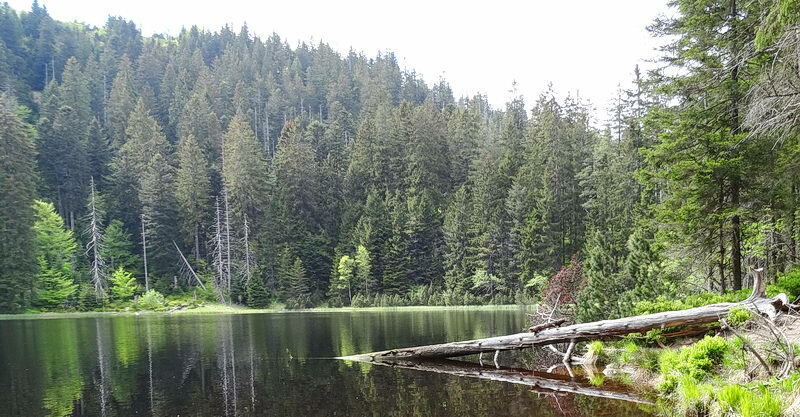 The extended nature reserves (altitude 900 m) include two moor lake complexes and represent the largest sphagnum bog in Germany with unique flora and fauna. Starting at the camping park Müllerwiese the famous Hohloh-moor is easily reachable on foot in two hours or by car in 10 minutes. Located at 800 - 1000 m altidude the even plateau Hohloh-Kaltenbronn represents a very popular hiking area. 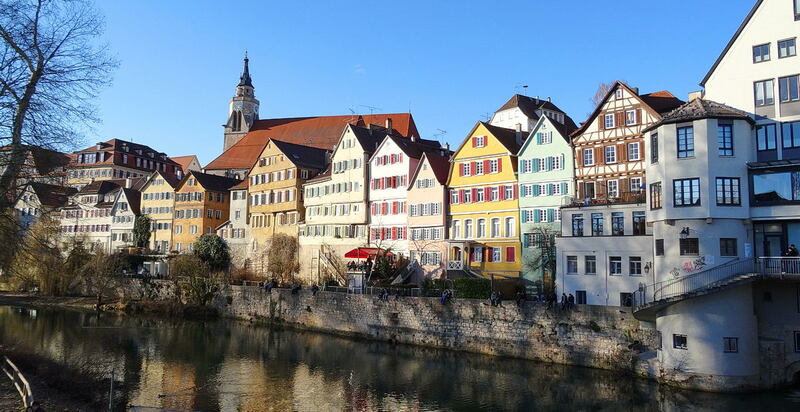 Extended hiking and cross-country trails through moors and woods as well as restaurants are making the Kaltenbronn to an attractive destination. The neighbouring Kaiser-Wilhelm-Tower offers a fascinating view of the Rhine valley, the Vosges, the Black Forest, the Swabian Jura and with high visibility even of the Alps. 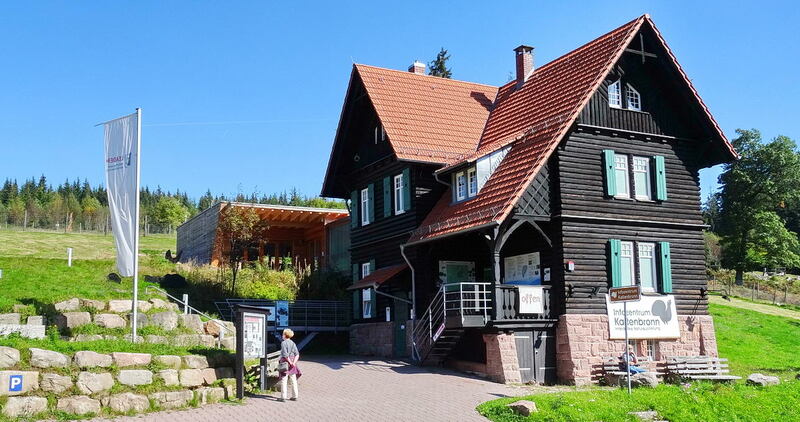 Worth to visit is the Nature information center Kaltenbronn at Kaltenbronn. There is an interactive exhibition on the geological and biological specifications of our region, the woods and the Black Forest moorlands. Biological excursions are offering a lot of interesting features of the nature reserve nearby our resort. 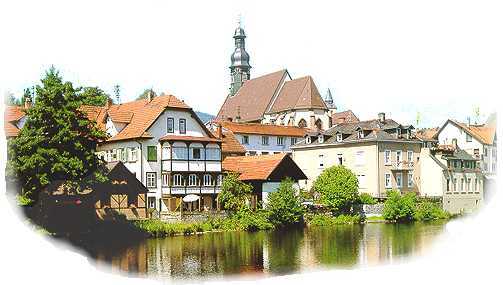 The neighbouring village Besenfeld (800 m altitude) is easy to reach by bus free of charge with your obligatory guestcard. There you will find 2 recommended hiking trails. 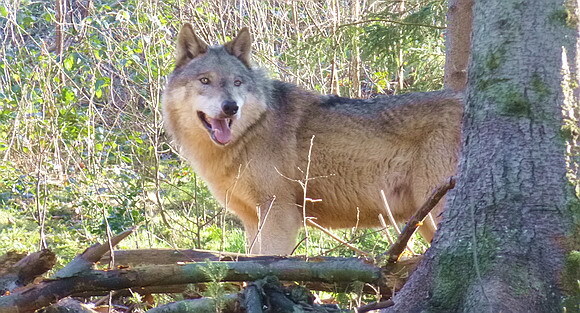 The Nature and adventure trail (8 km long) leads you along 17 information points where one can learn a lot about animals and plants of the woods. 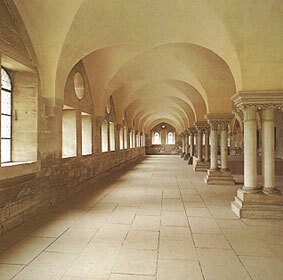 Along the Fountain promenade of Besenfeld you will find 13 historic and modern fountains of the village. 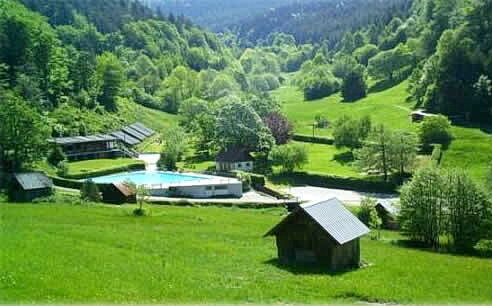 The only national thermal spa in the Black Forest promises a great bathing pleasure. Recommendations: The princely sauna baths Palais Thermal, the wellbeing bathes at the Vital Therme, the cable railway up the mount Sommerberg and the wanderer restaurant Grünhütte. Further attractions on mount Sommerberg are the Downhill Bikepark, the Black Forest Treetop Path and the new Wildline Suspension Bridge. 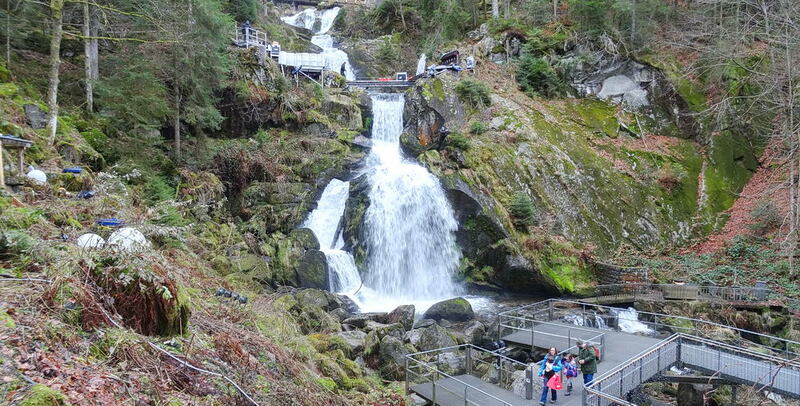 Bad Wildbad is easily to reach by using the public service bus free of charge with your obligatory guest card. 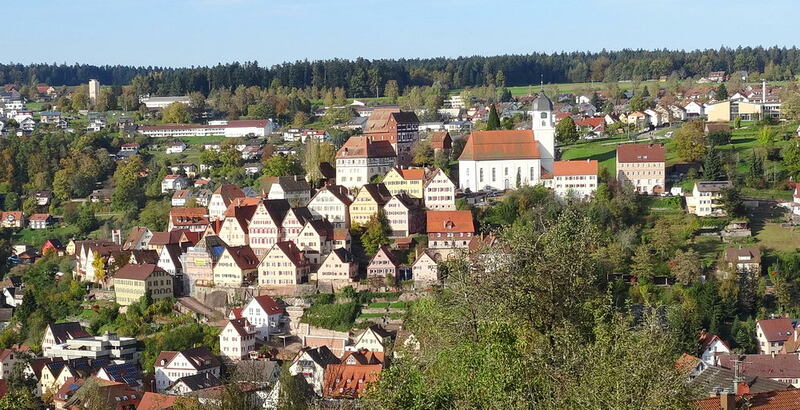 The small town Altensteig with its medieval centre, fortress and castle is an ideal destination for persons interested in culture. The health resort offers different cure and leisure facilities like the outdoor swimming pool and invites you to visit stage performances and concerts. 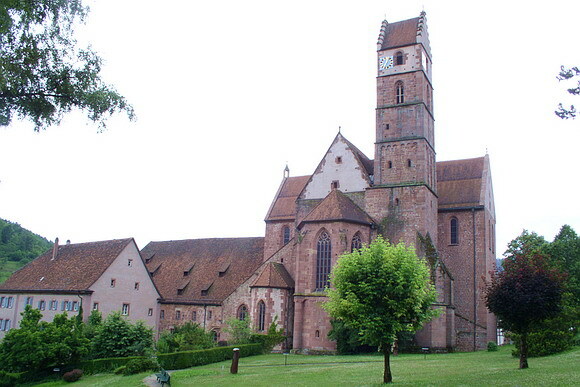 Near Altensteig is the small town of Berneck, also of medieval origin it shows a fully preserved fortified castle complex.